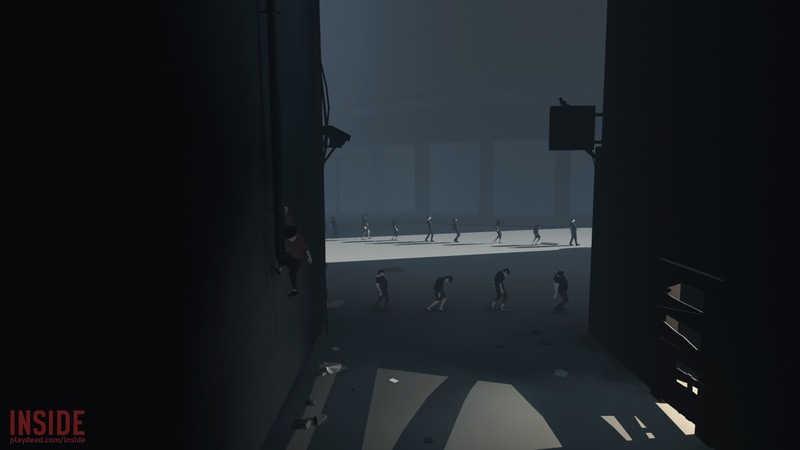 Inside is an Xbox console exclusive title from Playdead, the makers of Limbo. While there are similar traits that both games possess there are also many ways that these games differ. While Limbo story is basically explained thoughout the game with a clear objective ( save your sister from purgatory) Inside story is less than clear. 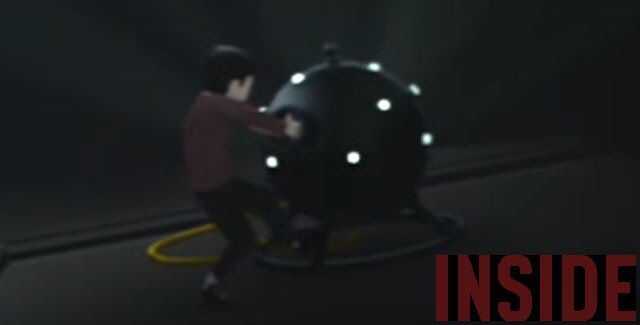 In Inside you play as a boy who seems to be escaping for the horrors of his world. 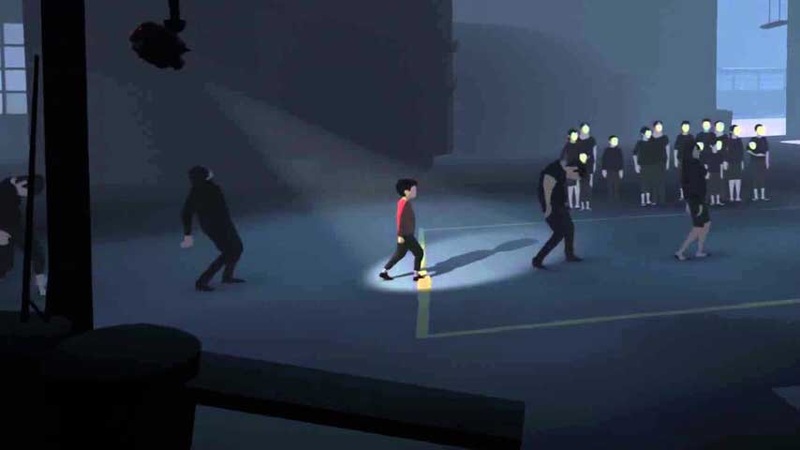 At first glance It’s seems like a world ruled by a dictatorship like Nazi Germany as the main character is chased by dogs and mysterious figures. But as you further progress through the game you will notice that the world is a little off. In some cases your world will be flipped upside down and others you will have to use the environment to survive. Nothing is as it seems and that’s the joy of Inside. 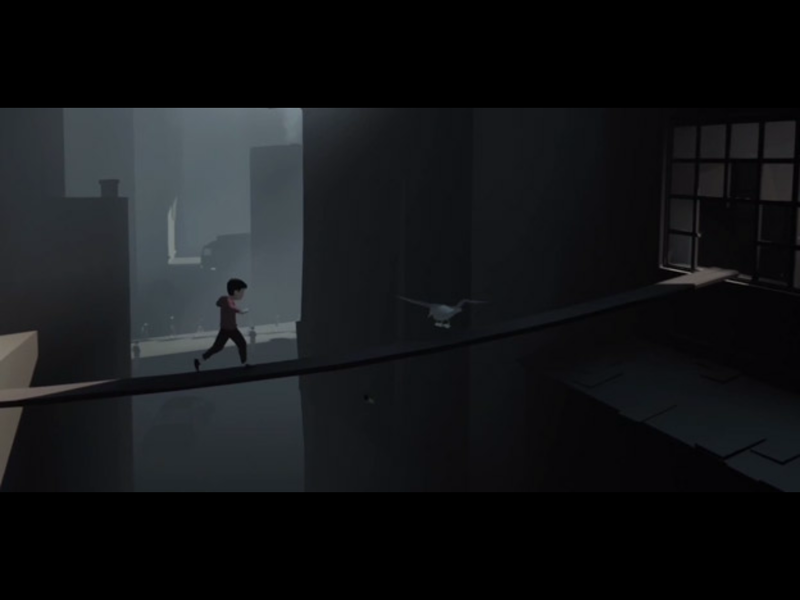 Inside is a game in which the journey is just as important as the destination. It was thrilling to reach each location in the game trying to find what the boy was looking for. I enjoyed that each puzzle while some were difficult they always made sense. So much I. Fact that a couple of times I was like why I didn’t think of that earlier. Also returning from Limbo is the gruesome deaths if you fail. The deaths are really uncomfortable and it makes you not want to fail so the boy is not subjected to a horrible death. ﻿﻿﻿﻿ For all the great experiences I had with the game the one knock I have is the ending. The final 15 minutes take a huge left turn that while gameplay wise I liked narrative wise I didn’t. If you were expecting answers or more information about the world you will not get them. The end of the game is left for interpretation and while I respect the developer for the decision they made the end of the game just wasn’t for me . Overall Inside is a great game that should be experienced and a must have for Xbox one owners. Telltale Games, known for the popular video game adaptation of the Walking Dead is back at again. This time there focus is on the extremely popular HBO Game Of Thrones series. If you played a Telltale game then you know what to expect. It’s basically a choose your own adventure game where the consequences are literally life or death. 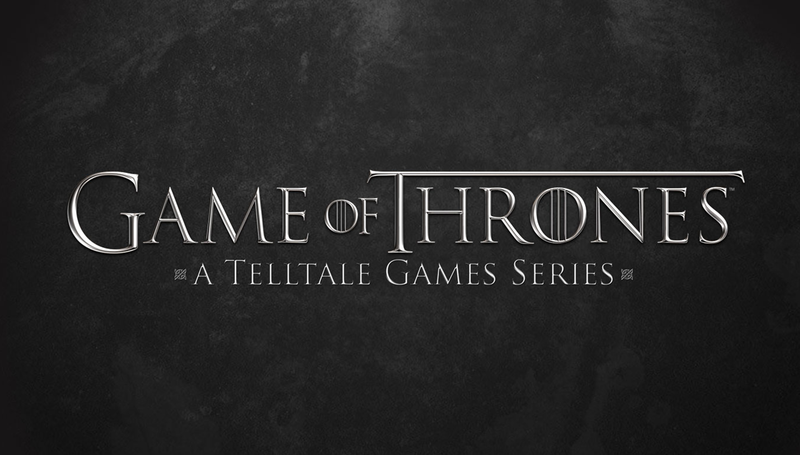 The game starts at “the Red Wedding ” as your character is a spectator to one of the darkest moments from the tv show. It’s a great way not only to start off the game but to get a first hand experience to how horrible this event was. Much like the tv show the game tells 4 different storylines from 4 different characters. This makes the game feel much like the show with multiple storylines that intertwine with each other. For the most part this works because it makes you feel like your building up to something big but the execution isn’t always were it needs to be. Another problem with the game is that it relies to often on characters from the show that aren’t necessarily important to the plot. Add to the fact that due to the fact that there on the show these characters can’t be killed or have any ramifications happen against them.This is a problem that could have been solved with minimal or no actors from the show. This is more evident when a cast member of the show commits heinous acts and it’s no way to retaliate against the person or even make an attempt. When the game focus on characters not on the show is were it shines its brightest. It’s very thrilling to makes decisions that could either help your clan or hurt it. Not all of these decisions lead to anything significant but when they did they were jaw dropping moments. 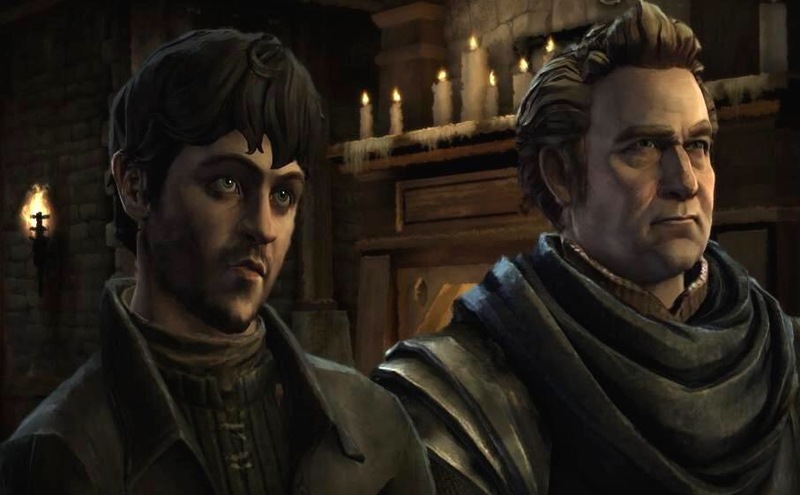 The playable characters are very likable and will have you hoping that they get the happy endings they deserve (spoilers, this is Game of Thrones there are no happy endings). Overall the gameplay is solid with many different outcomes based on decisions you make in the game. Favor someone over someone else you may be to deal with that character down the line. Every detail was made to make it feel like a episode of Game of Thrones. 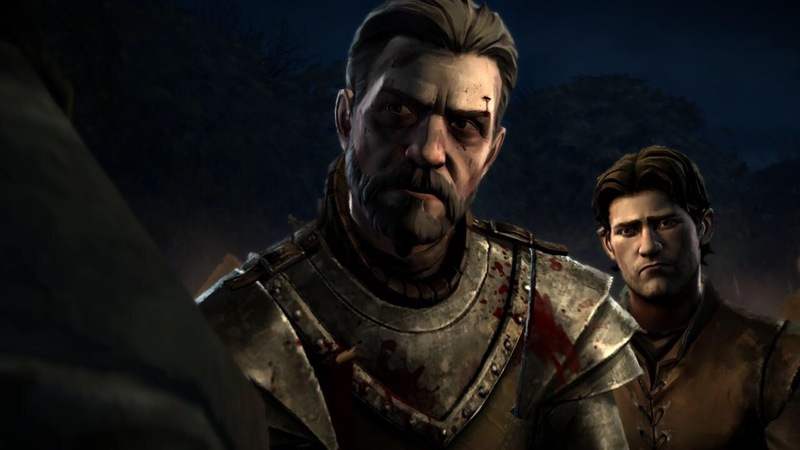 The story is slower paced than previous Telltale Games but still manages to have those moments that will shock you. 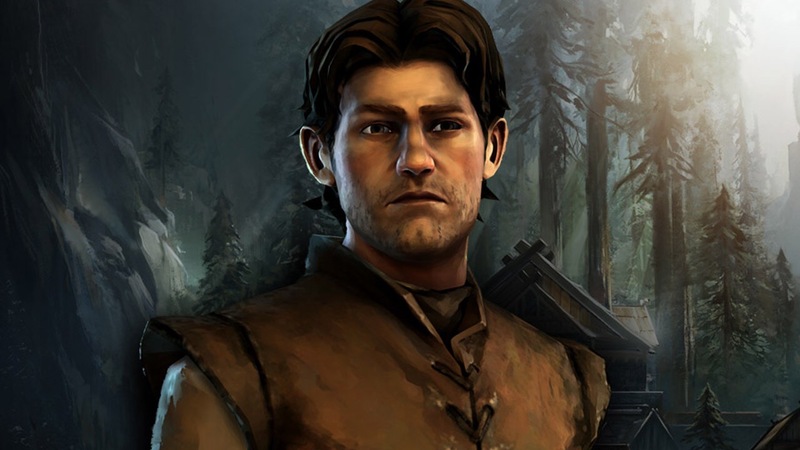 Unfortunately Telltale’s engine is starting to age due to the fact that it has to play on everything from IOS to Ps4. Also there are a number of glitches in the game that take a lot away from the experience. From missing audio cues to clipping and frame rate drops these are problems that this game should not have. But if you can overlook these issues what you get is an engrossing story that once it gets it hooks in you its hard to not want to finish.